This previously unpublished article, originally drafted 6th February 2011, bears a striking resemblance in both content, and style, to a similar piece published by Ireland’s Own, dated 23rd September 2011. It must be stressed that there is no connection or relationship between these two documents. When the celebrated architect, Agustus Welby Northmore Pugin (b 1812) died September 1852, his Irish practice was continued by his son, Edward Welby, and his apprentice, George Coppinger Ashlin. The elder Pugin had designed buildings as diverse as the English Houses of Parliament and the Midleton Arms Hotel. George Coppinger Ashlin received his early education at the Collège de St Servais, Liège. While at St Mary’s College, Oscott (1851–55), with which Pugin senior was strongly associated, he studied drawing and perspective. It was then, that he developed his interest for architecture. Between 1856 and 1860 he was allied to E.W.Pugin. By 1858, George entered the Royal Academy Schools, London. He was born; the third son of an English Corn Agent, John Musson Ashlin, and Dorinda Coppinger of Rossmore, whose family home was “Carrigrenane House”, Little Island. Dorinda was the sister of William Coppinger who died 1885 unmarried, and was the last of the Coppinger clan to occupy Barryscourt, Carrigtwohill. For a time Barryscourt became the property of John O’Connell and his wife Marie Anne Bianconi in accordance with the will of …... This relationship shall be discussed elsewhere. There after it subsequently became the property of the Barry Family. John Coppinger Ashlin, was years later to reside at Castleredmond House, and followed in his father’s profession. Amongst others; many of his activities are reported within the “Midleton Chronicles”. Ashlin Street, Midleton may well be named in his honour, or at least his family. Reverend Stephen Coppinger above, and brother of Dorinda, brought the Presentation Sisters to Midleton after he had built their convent and school. Bishop William, their uncle, died, 11th August 1830. Another brother of Dorinda and Rev Stephen, Thomas Stephen Coppinger (Midleton Clan) married, 1840, Annette Power. Stephen Coppinger Ashlin above became a priest, and is known to have served as Curate, Queenstown, now Cobh, 1861. He would later serve as administrator for Bishop Keane at the Cathedral. When Pugin received the commission for SS Peter and Paul, Cork City, in 1859, he made Ashlin a partner with responsibility for their Irish work until late 1868. In 1861 they opened their office’s of Pugin & Ashlin, 90 St. Stephen’s Green, Dublin. Their practice was primarily ecclesiastical; designing some 25 religious buildings; including the Augustinian church of SS Augustine and John, Thomas Street, Dublin; commissioned in 1860 and opened in 1874. 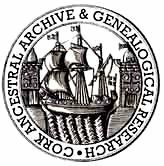 Their churches and Cathedrals were mainly in counties; Wexford, Cork and Kerry, and are all of similar design. By far the most important commission undertaken by this partnership was the building of Cobh’s, St Coleman’s Cathedral (1869-1919) for Bishop William Keane. 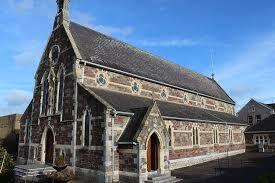 Others include churches of; Listowel (1865), Brosna (1866), Tralee (1866), Tralee Cathedral (1868), Ardfert (1868), Clonakilty (1866), Fermoy (1867), Monkstown (1867), Ballyhooley (1867), Skibbereen (1867), Crosshaven (1868), Ballynoe (1869). Additionally,the Cathedrals of Skibbereen and Killarney which were began in 1867 during their partnership and completed 1883. By 1872, George Coppinger Ashlin designed his own Parish Church at Carrigtwohill, which was consecrated 1875 by, Bishop William Keane. The partnership was dissolved in 1870. Thereafter George Coppinger Ashlin practised in his own right, which became nationwide. Amongst his latter works were; Ballycotten (1901), Ballybunion (1892), Holy Rosary Church (1893) and the Munster & Leinster Bank, both of Midleton, and finally Kildare (1898).